If you are adopted, at some point in your life you may be drawn to finding your birth parents. The process can be arduous and stressful, as well as emotionally painful at times. 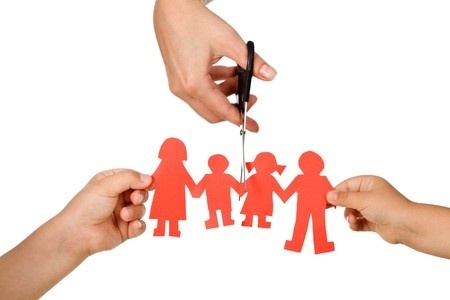 If you consider yourself a fairly savvy genealogical researcher, you can do your best to tackle the task to find biological parents; however, finding birth parents can take years, especially if relatives have changed their names, moved to a new location, or passed away. When it comes to a birth father and mother search, it may be best to call on a genealogy ancestry service to help and support you with your journey in finding birth parents. RecordClick’s Ancestor Search Specialists, some of whom have first-hand knowledge of adoption, specialize in these sorts of sensitive ancestry searches, and they can definitely help finding your birth parents. RecordClick’s genealogical services provide powerful search tools and new ways to search, which respect the privacy of individuals. To increase the efficacy in finding birth parents, RecordClick’s professional genealogists use a combination of traditional genealogical research methods in combination with forensic genealogy applications, including DNA genealogy testing. Family Tree DNA can answer questions about an adoption, as well as determine your ethnicity. RecordClick goes one step further in its DNA genealogy search services by working with world-renowned genetic genealogy researchers who offer consultations to test-takers and provide help in translating results. Whether you are looking to finding biological parents, finding biological children, locate lost relatives, or discover living relatives, RecordClick’s genealogy pros will handle your case individually, respectfully, and proactively. Finding birth parents requires identifying how the adoption was handled. Was it done via the courts; was the case sealed or not? If you do not know, hiring a genealogy ancestry service to help you with your birth parent search would be very helpful. If the case was sealed, then most likely it will be necessary to file a petition with the court to open the case, before tracing ancestry can commence. If the case was not sealed, then a RecordClick genealogical researcher can get the task underway to find biological parents. Let RecordClick help you in your quest to find your birth family.